The Human Brain Project (HBP) is developing a shared European research infrastructure with the aim of examining the organization of the brain using detailed analyses and simulations and thus combating neurological and psychiatric disorders. For this purpose, the HBP is creating new information technologies like neurosynaptic processors which are based on the principles governing how the human brain works. Funded by the European Commission in 2011, the DEEP project was the brainchild of scientists and researchers at the Jülich Supercomputing Centre (JSC) in Germany. The basic idea is to overcome the limitations of standard HPC systems by building a new type of heterogeneous architecture. One that could dynamically divide less parallel and highly parallel parts of a workload between a general-purpose Cluster and a Booster—an autonomous cluster with Intel® Xeon Phi™ processors designed to dramatically improve performance of highly parallel code. PRACE is seeking students interested in spending the summer working abroad. Consisting of a training week and two months at a European High Performance Computing Center, the program affords participants the opportunity to learn and share more about PRACE and HPC, and includes accommodation, a stipend and travel to their HPC center placement. Today Mellanox announced the speaker lineup for their annual Dinner Event at SC15 will include comedian Jason Alexander from Seinfeld. Special guests include: Marek Michalewicz from A*STAR, Thomas Lippert from Jülich, and Jack Wells from Oak Ridge. Today the European Commission announced HLRS, JSC, and LRZ have been named “Centers of Excellence for computing applications. Funded by the EC and the Horizon 2020 program, the new Centers of Excellence will provide their petascale HPC infrastructure for developing services for European users in science and industry. 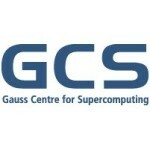 The Gauss Centre for Supercomputing (GCS) in Germany writes that the most recent TOP500 list reflects its status of a global heavyweight in HPC. Today Mellanox announced that the Jülich Supercomputing Centre has selected the company’s EDR 100Gb/s solution to accelerate its new large-scale supercomputer. Called JURECA, the new 1.8 Petaflop system will be developed T-Platforms and ParTec to include Mellanox’s end-to-end EDR 100Gb/s solutions, consisting of ConnectX-4 adapters, Switch-IB switch systems, LinkX cables, and HPC-X software.